No matter the size of your business there are so many aspects that need to be looked at, considered and implemented. Running a business is always a risk, no matter its size and as business owners one has to make very sure that it succeeds. Part of that road to success is having the knowledge and information on hand that will ensure that the process is as smooth as possible and pays off in the long run. Its often a challenge to identify what or who to listen to or which information to implement in your business. Our advice is to do your research and preferably only action advice and business tips from people who are in business currently. It goes without saying that those businesses should obviously be successful !! Here are some tips that you can easily use and implement today that will set you firmly on the road to success. Know exactly what you want to achieve with your business and build your plan around that vision. Review it regularly to verify that you are on track and if needed make corrections. Many entrepreneurs, especially when starting out, think too small. Your vision and goals should be so BIG that when you think about them you get a hollow feeling in your stomach. Ever heard the expression – “Shoot for the moon and reach the stars” – well this is exactly the premise that you should be working from. If your vision is not BIG enough, it will not pull you through the challenges, the ups and downs and the daily minutiae of running your business. No matter how good your product or service, without the right team around you, your business will not flourish. Accept that you cannot know, do or be everything in your business and ensure that you have a power team around you that buy into your vision for the future. In this way, the business will grow and succeed. Too many times business owners jump into something without having a strategy to support why they are taking that action. Time is precious and you need to make sure that it’s spent productively. Having a strategy will also allow you to target the correct actions or the correct people to achieve the best results. Without a strategy, each action becomes meaningless and most times will not deliver a desirable result. Time equals money as we all know. Using technology to automate and scale our tasks can leverage our time as business owners allowing us to complete more in less time. Get to know what technology would be best suited for your business model and use it. In most cases, there are free and paid versions of software and apps that will simplify your life and provide excellent returns on your investment. One thing that should remain front and centre in your mind is that people no longer buy products and services – they buy the people behind the products and services. It’s a vital tactic in your business success to set up your personal brand and let people discover who you are, what you stand for and your ethics and integrity. This will go a very long way in building credibility for you and ultimately your business. When building your personal brand, remain Authentic and be YOU. A comfort zone is exactly that – it gives you permission to be comfortable and to not grow and get better. Humanity learns best when out of their comfort zones as it forces them to stretch, grow and discover strengths that they may never otherwise have found. If you have no knowledge about social media – don’t just outsource it because you don’t know where to start, get stuck in and educate yourself, take the necessary action and then when you really have the hang of it yourself – then outsource it, if needed. This saying for me says it all ” life begins outside of your comfort zone” and this I truly believe applies in life and business. 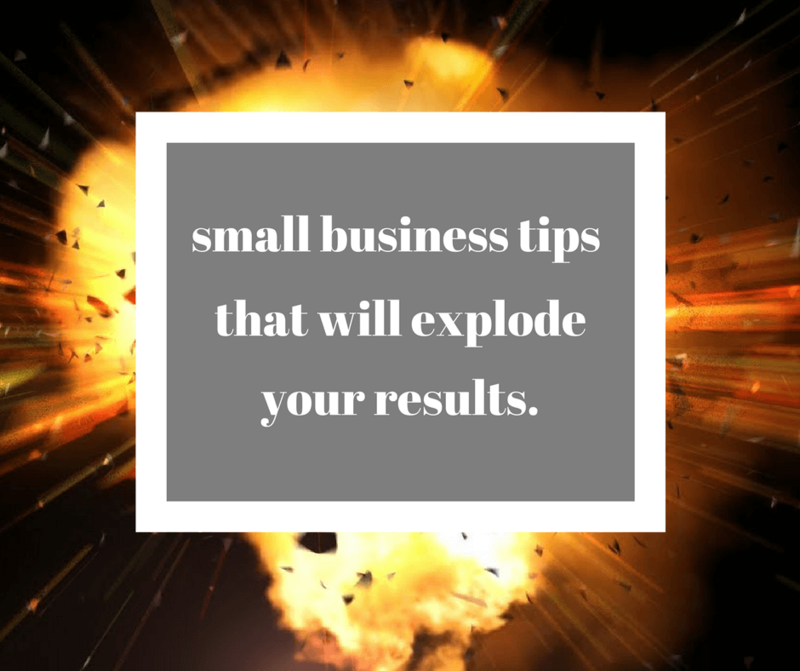 There are many more tips that we could share, enough to fill several books I’m sure, but if you take these and actually apply them in your business – the results will amaze you.